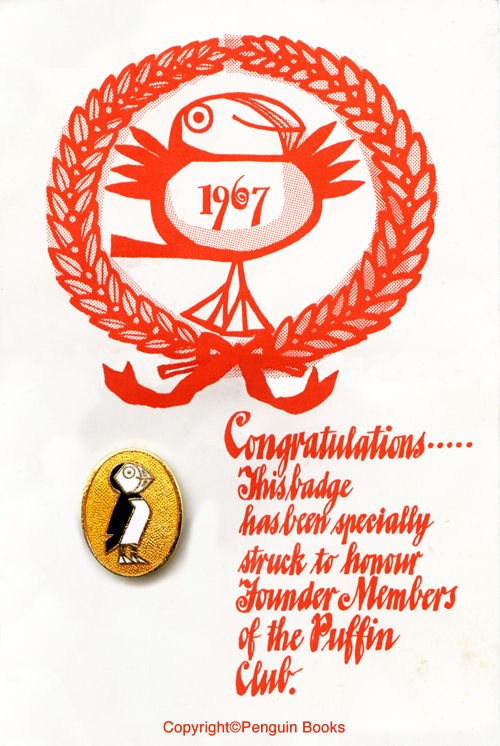 The Puffin Club was founded in 1967 by Kaye Webb, the editor of Puffin Books for children. Within the first year it had over 16,000 members who invented their own language, gathered for readers' meet-ups, and attended Puffin author exhibitions with writers such as Roald Dahl, Spike Milligan and Quentin Blake according to the PuffinPost (no relation to the HuffingtonPost). 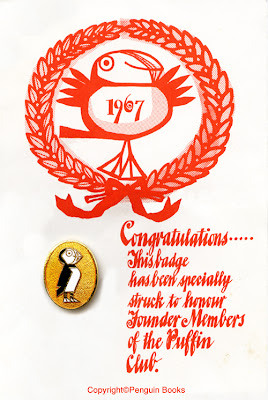 At its height there were over 200,000 members who each received a monthly issue of the PuffinPost and an annual membership badge pinned to a card like the 2 samples posted above. These were illustrated by Jill McDonald, The Puffin Club's house illustrator and most popular and recognized children's book artist. Sadly, I could find little information about Jill McDonald but you can see a lot more of her work at the Puffin Club Archive blog which is hosted by Thin Puffin, an original club member. He has a nice collection of PuffinPost covers along with some illustrated envelopes and other treasures there too. The original Puffin Club was a remarkable example of a method to inspire young readers and such a clever marketing model at the same time. Thanks for the plug for my blog! 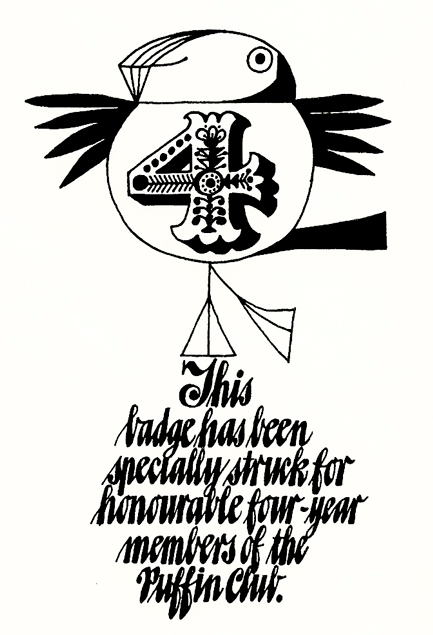 A credit for my restored artwork would have been nice to include as I have put a considerable amount of work into them. Of course! I did not realize that you have been restoring McDonald's artwork as well. Keep up the fine work. You are doing a great service to promote children's literature.